Pretty little liars - What's the First Mistake Of Hanna & Caleb? ▷ which should be the spot motto? → which should be the spot icon? → should this be the new spot banner? What did Du think about the season finale??? Do Du think that Caleb will ever come back & that he and Hanna will ever be together again? 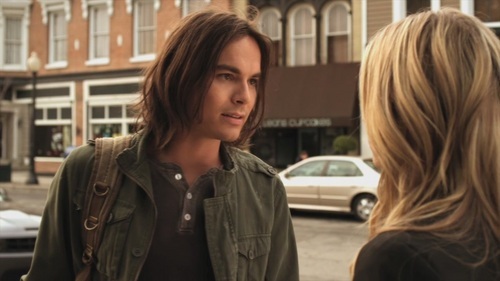 Caleb Rivers is the new kid in Rosewood High, who gets involved with Hanna and Emily when they asked him to bug Emily's phone for her to talk to Maya, but with a price. He is into other illegal activities that he doesn't want anyone to know resulting for him to have a sketchy personality. He takes money every chance he gets, seen when he saw Spencer sneaking around the faculty office and asked for money in exchange for his silence.